The political scientist Daniel Aldrich has been looking at what most helps people survive and recover after a disaster. His research has shown that it is not ambulances, firetrucks or other government assistance, nor is it twitter or other social networking devices; rather, it is neighbors. As Christians, we usually hear and interpret the biblical command to love our neighbors as a moral mandate through which we reflect God’s love and help others experience that love. But Aldrich shows the pragmatic effects of caring for our neighbors. Before government officials issued the evacuation of New Orleans, people had fled before Katrina hit and survived because a neighbor knocked on their door and warned them. NPR reports that when Aldrich visited villages in India hit by the giant 2004 tsunami, he found that villagers who fared best after the disaster weren’t those with the most money, or the most power. They were people who knew lots of other people — the most socially connected individuals. In other words, if you want to predict who will do well after a disaster, you look for faces that keep showing up at all the weddings and funerals. After the earthquake and tsunami in Japan, neighbors knew where their neighbors slept and began digging through the rubble in those places. Consequentially, people were found early enough to survive. 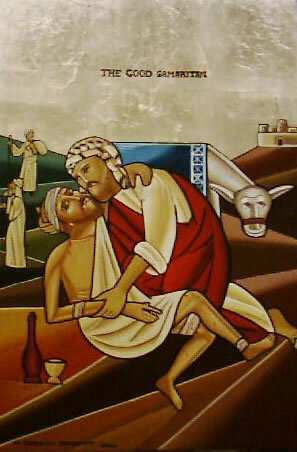 Of course, when we read Jesus’ parable about the Good Samaritan, we don’t find an other-worldly vision or a call to a higher moral plain. We simply see a person who stops and assists another person that has just been beaten and robbed. The actions of one led to the survival of the other. Although this is not pragmatism, the results of the command are pragmatic – a command not just to love one’s neighbor but to be a neighbor.